This week I tackled the 3-ways you can make mornings faster and less stressful. Let's get to it! 1) CLEAN OUT YOUR CLOSET! You can learn more in this podcast and in this blog post, so I'll just get to the benefits of this life altering exercise that I do routinely once a season. It will decrease the eye clutter in your closet and decrease the amount of clothing you have to sift through in your mind before you land on something the fits, feels good, looks good. 2) LEARN TO SHOP! 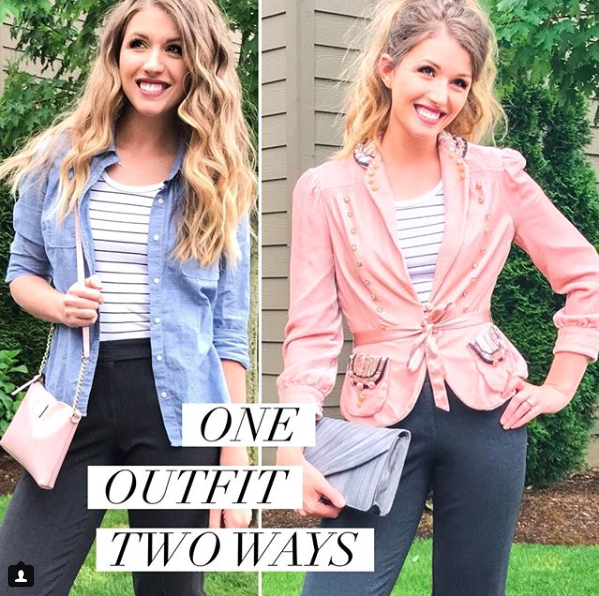 Shopping might not be your jam and I talk about that in this podcast and this blog post (and even teach you how to shop like a PRO in this e-course), but I urge you to get out and at least try things on before you commit to shapes and colors bought online. I get into so many closets every year and see things with tags on them and ask, "What's this about?!" Why are these items bought if they aren't being worn?! Because when they come in the mail you are far less likely to return them if they don't quite fit or aren't exactly what you thought they'd be - and companies bank on this fact. So demand more from your purchases. I go into far more detail in my e-course, but items should check ALL of these boxes: fit, shape, color, comfort, budget, and buddy (all items need a buddy in your closet). 3) PLAN YOUR OUTFIT THE NIGHT BEFORE! I can't tell you how many rushed mornings I've had trying to plan my outfit around my day with a child pulling on my PJs asking for cartoons and milk. Plan the night before and it will GREATLY decrease stress in the morning, whether or not you have a little turkey waking you up. Trust me. I hang ALL the items I plan on wearing on one small rack on the back of my door (you could use a few hangers or one), including the bra, underwear, outfit, and accessories I plan on wearing. I make a mental note of where the shoes are I'm going to wear with it, or just set them below the outfit. DONE! It takes 5 minutes, ladies. Try it! I was asked when I was speaking at the MOB Conference in February 2018 what a few pieces I could recommend everyone have in their closets were. I was high on the good stuff at the time (adrenaline) so I'm not exactly sure what I said in response, but I'm sure it was something to the effect of "everyone is so different and has such different tastes that without knowing you it's hard to say exactly what I would recommend". 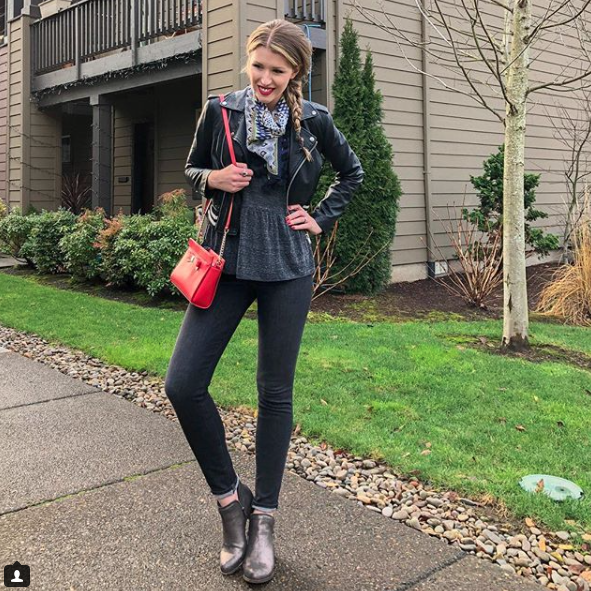 But after giving it some thought, and taking a look at the items I wear/recommend constantly as a stylist, I have five pieces that EVERY mom (or just boss lady) can sprinkle over any wardrobe to start pulling the pieces in her current closet more together. Because the more put-together we look like (while still being ourselves!) the more people believe what we have to say. 1) Duster Length Cardigan (trendy piece): Such a cute finishing piece to throw on over outfits (everything from work wear to athleisure). BONUS: It creates a long line (leave it open) and makes you look taller. Neat trick! Just don't let it go much past your knee for all my ladies under 5'5". 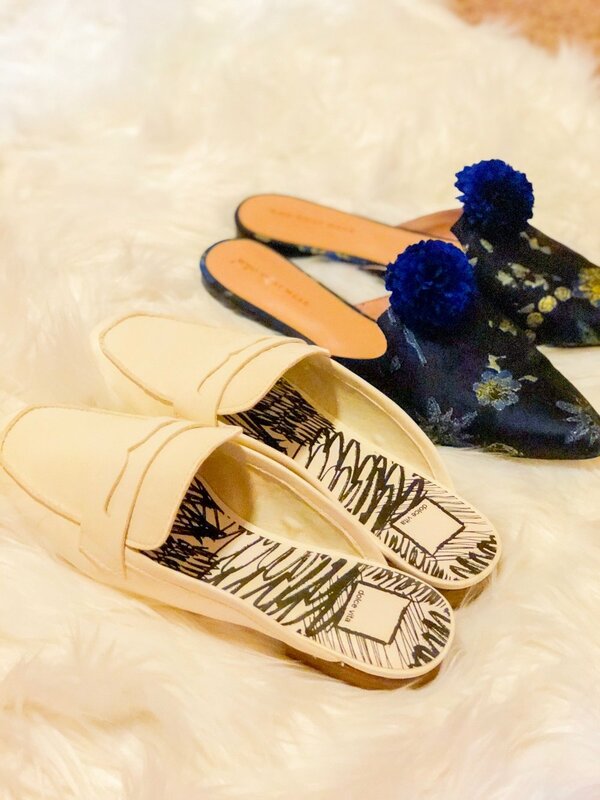 2) Pointy-Toed Slides (trendy piece): These quick, chic shoes are perfect for chasing a little out the door, because you know you put their shoes on first every time and forget they are just going to bolt out the door! BONUS: more leg elongation. Looks at those gams! 3) Black and White Striped Tee (classic piece): These go with almost everything, especially the finishing pieces, in your closet and look best if worn fitted and tucked into pants/skirts or loose/oversized and styled (half tucks, front tucks, tie ups, twist and tucks). MYTH: horizontal stripes especially medium/small ones, don't make you look wider. Just cooler. BONUS: black and white stripes are a great way to start dipping your toe in the pattern mixing pool! 4) Moto Jacket (classic piece): This badass little jacket can turn any mom into the coolest chick at the park. Rock it over some coordinating, monotone athletic wear, rock it over jeans and a tee, or rock it over a feminine sun dress for some cool girl contrast. BONUS: if it's cut to your hip or slightly above it also makes you look like you have longer legs (taller). 5) Tan Trench Coat (classic piece): Oh, the classic, classy, chic AF trench. It can elevate almost any outfit. It's true! It's the number one thing I suggest to mom's with businesses in fact because you have customers to impress and this piece will pull it all together.